Real-time Data at a glance. 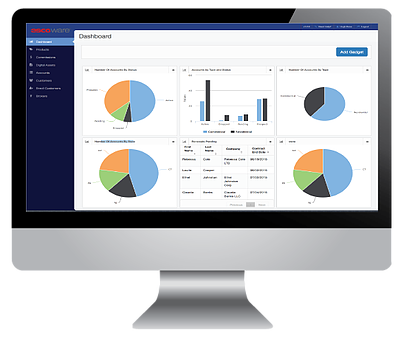 The ESCOWare® CRM provides extensive Channel Management capabilities and is the ideal solution for Retail Suppliers and providers you with all the tools needed to setup and manage virtually any type of sales channel or compensation structure from call centers to door-to-door street teams, from the simplest affiliate broker program to the most sophisticated Network Marketing plans. As meter reads occur, commissions are calculated. Each commissionable account then appears in commission management area where each item can be reviewed for accuracy and accepted, denied or put on hold pending further investigation. Finally, once all commissions are approved, they are processed. Once processed, no further changes can be made. If changes are required, such as debits or credits, they must be done in the next month’s commission run.Reports for processed commission runs can be viewed at any time. The broker summary report lists each broker and shows their total commissions. Clicking on a specific broker will display that broker’s individual detail report and list every commissionable item for that commission run. Brokers /Agents are entered into the system and given a signing agent ID. This ID is used to tag enrollments to a specific broker for commission purposes. It defines the channel and compensation plan under which the broker will be paid. Brokers can only be entered in the system once but brokers can have multiple signing agent IDs. This allows them to be paid under different compensation plans. 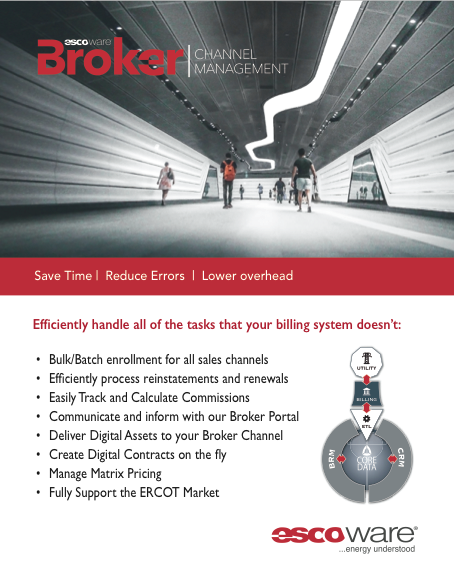 Helps keep overhead low by providing your Brokers/Agents with complete visibility to all their directly enrolled customers as well as their down-line agents and their customers.It provides broker with detailed commission statements, available programs and rates and the marketing materials and corporate documents they need to be self-sufficient and run their own business without having to constantly call your organization for support. This allows you to grow you broker channels without having to proportionately grow your support staff. When a broker logs into their portal, they are presented with a series of default graphs and charts providing them with a quick overview of their business. The broker has the ability to create additional graphs and charts as required. The customer tab displays all of the customers that the broker has personally enrolled including customer name, address, phone number and status. The report can be sorted by any of the columns listed. Clicking on any customer will bring up detailed information including accounts enrolled, energy charges by service start and end date, billed amount, billed energy usage and rate. Clicking on the broker tab will display a list of all the broker’s down-line agents, their status and their contact information. Clicking on any down-line agent will display that agent’s customers and the customer’s status. This allows the broker to effectively manage his or her down-line agents. For example, if a broker sees that one of their down-line agent has customers who have dropped, the broker can contact that agent and have them try to win the customer back or at least determine the reason that they have dropped the service. The commission tab displays all previously run commission statements. Each commissionable account is listed and includes the commodity, energy usage, commission rate and type and amount of all commissions due the broker for that particular commission period. The rates tab will display all of the states in which the broker is authorized to offer the service. Clicking on any of the state icons will display all of the available product offerings available to that broker. Each product offering will include its rate, term, commodity plan type and utility. The digital asset library is where you store materials that you would like to make available to your brokers. Any type of material can be stored here including marketing materials, corporate documents, LOA’s enrollment forms, agreements, presentations, videos, etc. You can organize these documents by creating category cabinets and placing the appropriate materials into the correct cabinet. DOWNLOAD: Click the icon to the left to download the digital PDF data sheet to learn more about the ESCOWare® Analytics & Intelligence Platform. Is This What Your Monthly Commission Run Feels Like? Tired of working out of spreadsheets? ESCOWare’s Commission Management System allows you to easily calculate your monthly commissions for your brokers/agents and promotions. Request a live demo today and see how ESCOWare can make your next commission run a snap!